Mailed 3/1/18 to Subscribers. Allow 6-8 weeks for USPS delivery. Caesar: Julius Caesar arose at a turbulent time when the Roman Republic was facing military threats from abroad and insurrection at home. It was an era where rival gangs fought in the streets of the capital for control of vital political offices, armies engaged in incredible battles on far-flung frontiers, and generals seized control of the state to ensure justice for their troops against an increasingly corrupt government. 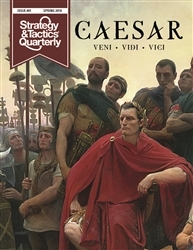 Caesar came to the forefront, not only conquering Gaul, but by defeating many foes in the Great Roman Civil War and establishing himself as the sole power in Rome, revolutionizing the political system. 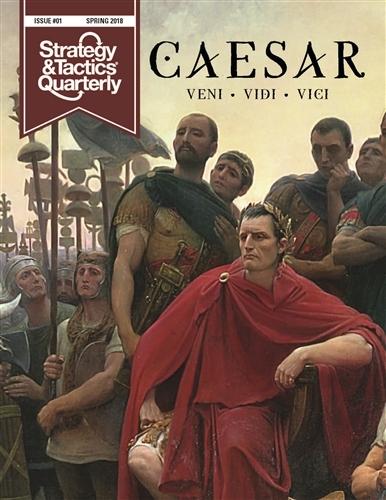 This issue covers Caesar as well as profiling figures that are still known to us today—Cleopatra, Spartacus, Cicero, and many more. 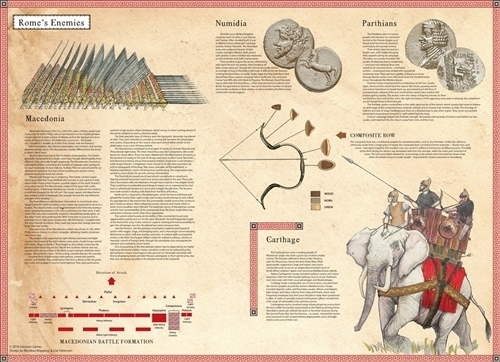 This issue includes maps, battle diagrams, and descriptions of weapons of the Roman world. 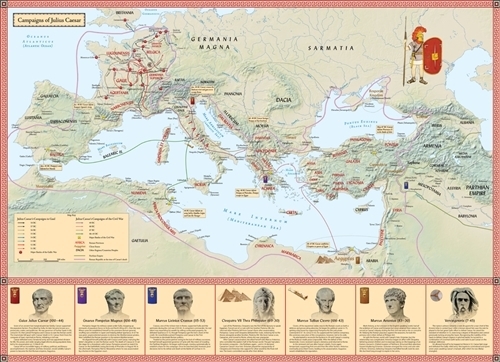 It also includes a map poster depicting the campaigns of Caesar.